What is a Mudra exactly? 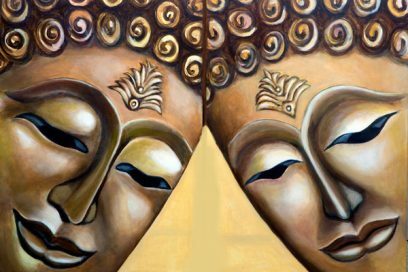 Let’s practice Mudras together! A Mudra (sanskrit word meaning sign or seal) is a gesture, usually of the hands, that locks and guides energy flow and reflexes to the brain. 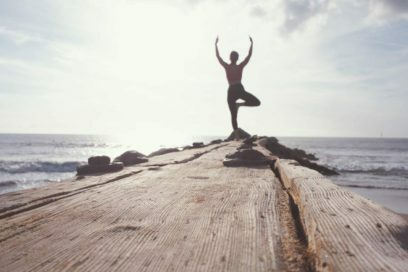 It is an essential part of Yoga. A mudra can help to redirect the balance of the five elements in the body – Air, Water, Fire, Earth and Aakash (the tiny intercellular spaces in the human body). It also helps to connect with our meridians going through our body. Each mudra can help our body to be more balance and restore health by joining our fingers. 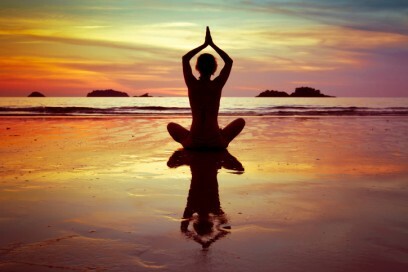 Known as the “mudra of knowledge”, Gyan Mudra enhances the concentration and improves the memory. It is a great tool in case of mental illness. It is a calming mudra, bringing happiness, spiritual openness and ease in meditation. It involves the fire and air elements. It is also link to the lungs and large intestine meridians. Instructions: Join the tips of the index finger and thumb and keep the other 3 fingers together stretched. 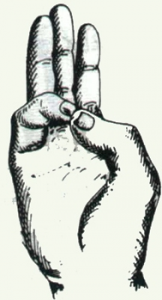 For best results, it is advised to perform this mudra in the morning. The middle finger represents the space element in the body. By practicing this mudra we can decrease space (Aakash) element in the body and activate the Pericardium meridian. Shoonya Mudra prevents from diseases and pains relating to the ear. Instructions: Press the middle finger on the base of the thumb and keep the thumb on middle finger. The other three fingers are straight. It is preferable to practice this mudra with the two hands, early morning jours. Prithvi Mudra can be used to enhance happiness, it reduces stress and helps the digestive system. It is linked to the earth element and the triple burner meridian. Instructions: Join the tip of the thumb and ring finger, and press. The other 3 fingers should be extended. 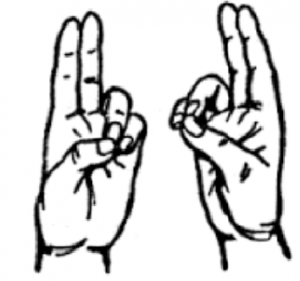 For best effects, perform this mudra in the morning. It is possible to do this mudra 3 times a day for 15 minutes, it will greatly renforce the self-esteem. Varun Mudra increases the amount of moisture in the body and prevents the body to have dry skin. It gives freshness to the body by making the skin shine and glow. This mudra is linked to the water element as well as the heart and small intestine meridians. Instructions: Join the tip of the thumb and little finger, press gently and keep the other three fingers straight. Prana Mudra balances the life force into the body and revitalize it. It is also beneficial for all types of diseases and treats eyesight issues and insomnia. Instructions: Join the tip of the thumb with tip of little and ring finger. Keep the other two fingers straight. You can perform this mudra anytime during the day, with the two hands. How can these mudras be practiced? They can be practiced at all times in a sitting, standing or walking position (even talking) and during meditation. It is advised to practice the mudra for 20 minutes continuously for best results. If a mudra cannot be made in both hands, you may do it in one hand only.